Hi UCreate readers! My name is Crystal and I’m the voice behind A Pumpkin & A Princess. I’m a stay at home mom to three cuties and wife to one amazing guy. 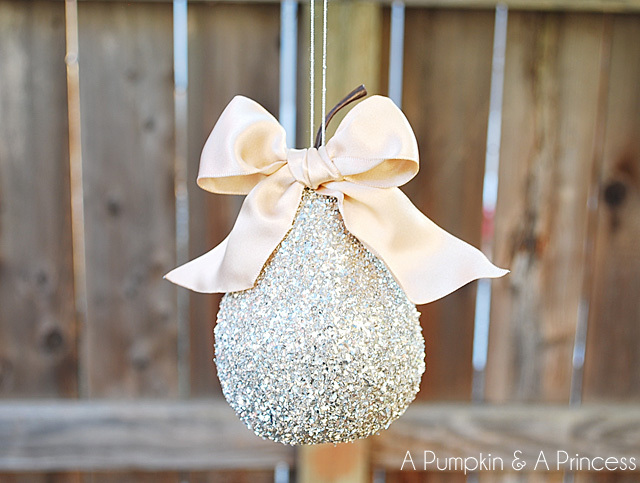 On my blog I love sharing quick, easy, and inexpensive creative ideas. 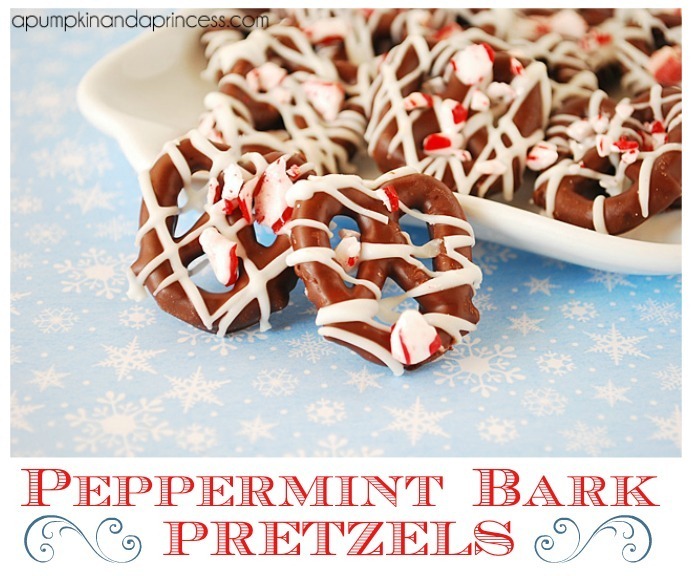 I’m thrilled to be here today sharing one of my favorite holiday treats. I’ve been making chocolate dipped pretzels as holiday gifts for about 8 years now and I never get tired of making them. 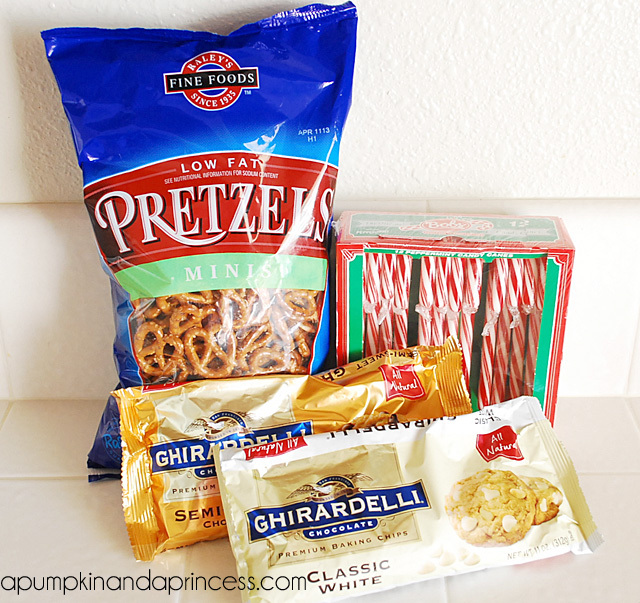 Today I’m going to show you how to make peppermint bark pretzels. 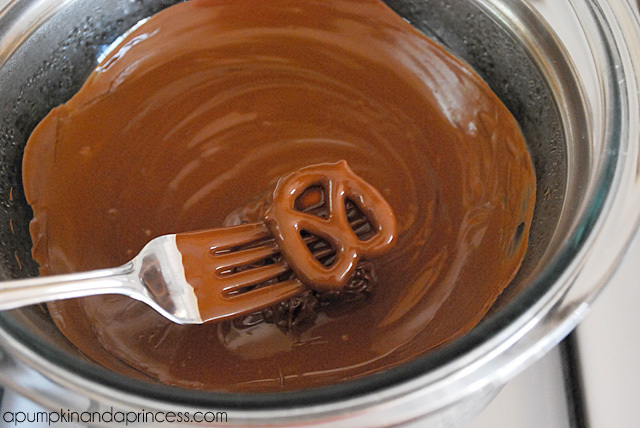 Once the chocolate is melted dip the pretzels in and use a fork to take them out. 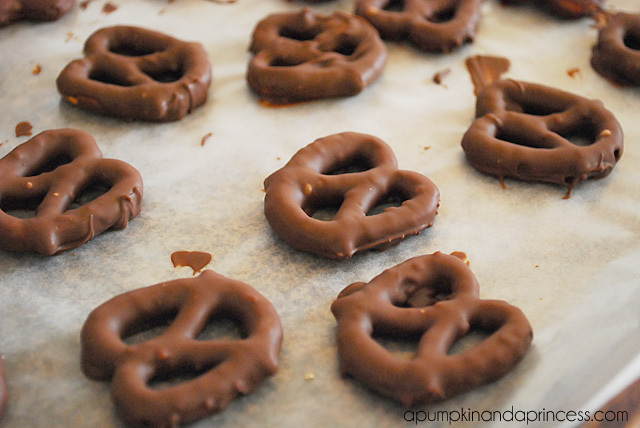 The fork helps avoid big clumps of chocolate piled under the pretzel. Give them a light shake to remove any excess then place on a wax paper lined baking sheet. Melt the white chocolate chips in a separate bowl then place into a piping bag. Snip the tip of the bag and drizzle over the pretzels. 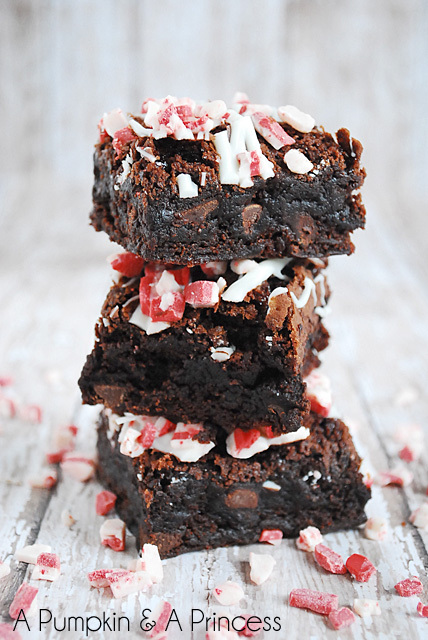 Immediately sprinkle the crushed candy canes on top. Allow chocolate to harden a few hours or place in the refrigerator for about 15 minutes. 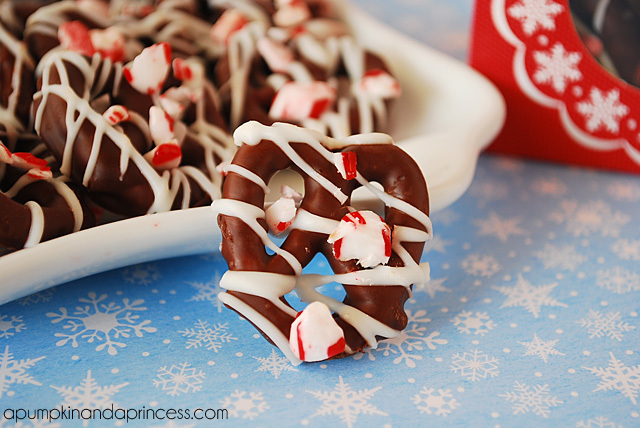 They are so easy to make and perfect for neighbor gifts. 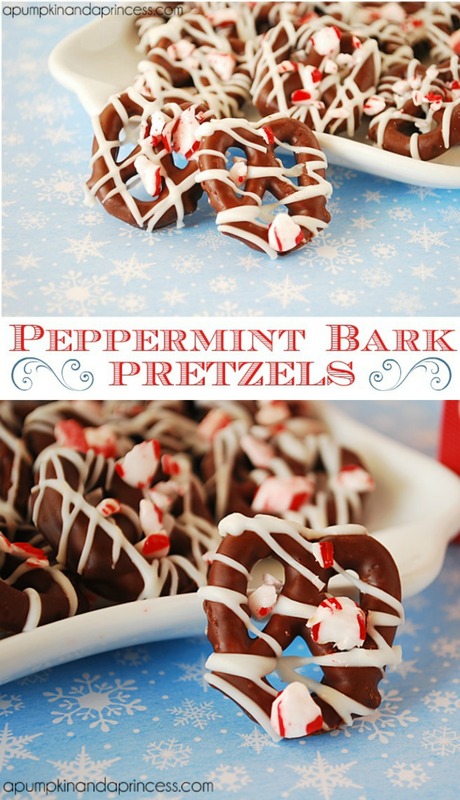 They can also be made in large batches, making them one tasty and inexpensive gift to give this holiday season. 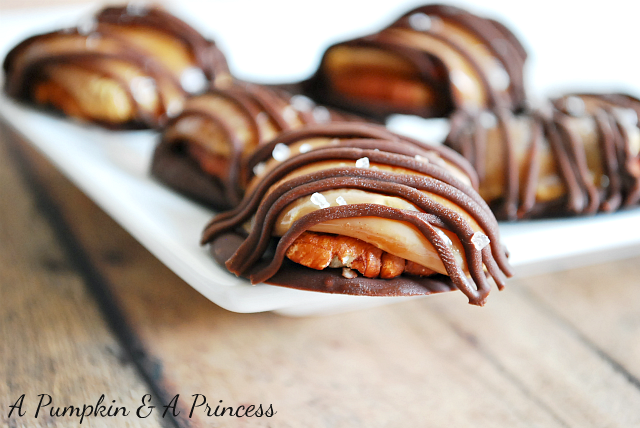 The Easiest Salted Caramel Turtles Candy Ever! Crystal I would LOVE to receive this as a gift! Great idea. Great recipe. Thanks so much for sharing your creativity with us this week!! Love this idea! I actually just made the brownie version last night! Oh YUM! These look amazing! These look delightful! Think I’ll try with dark chocolate…sorry, had to wipe the drool. This has all my favorites; salty, crunchy, sweet, chocolately, minty. Mmmmm. Look fun a easy! My kids would like this.